← Character Contest 41 Winners! RP: How could they tell? 3 Responses to RP: How could they tell? I have always loved his nose and isn’t he always mad? His eyes are always slanted like he is angry. 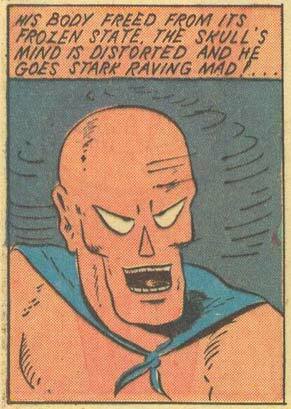 All of the “happy face” iron skulls were taken when his was implanted, so he went with “enraged retard”. The cross eyed look was “in” back then as well.